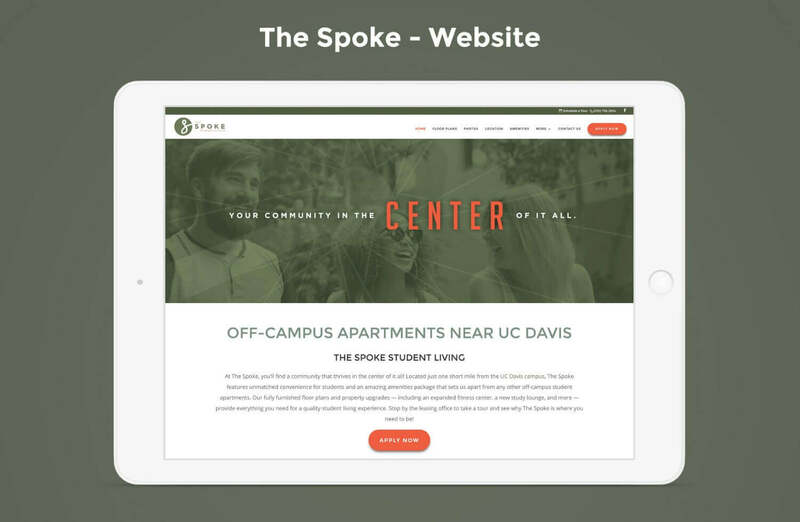 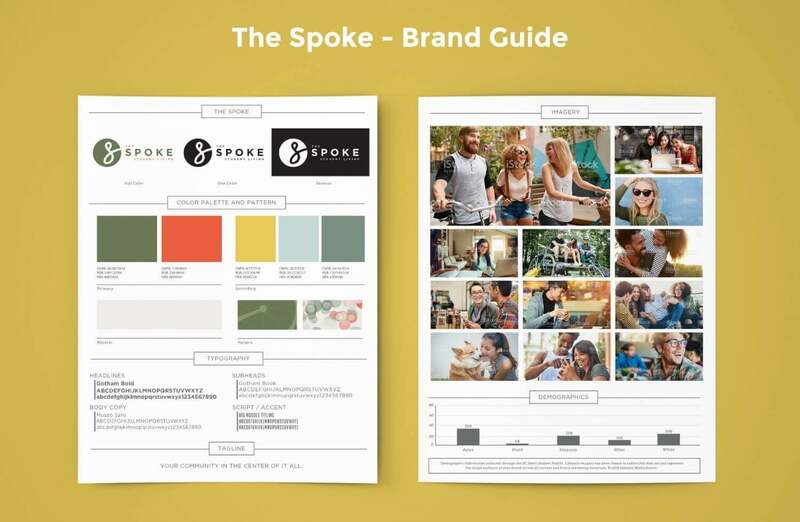 The management company of The Spoke enlisted Catalyst’s help to rebrand the off-campus student housing community located near the University of California in the city of Davis. 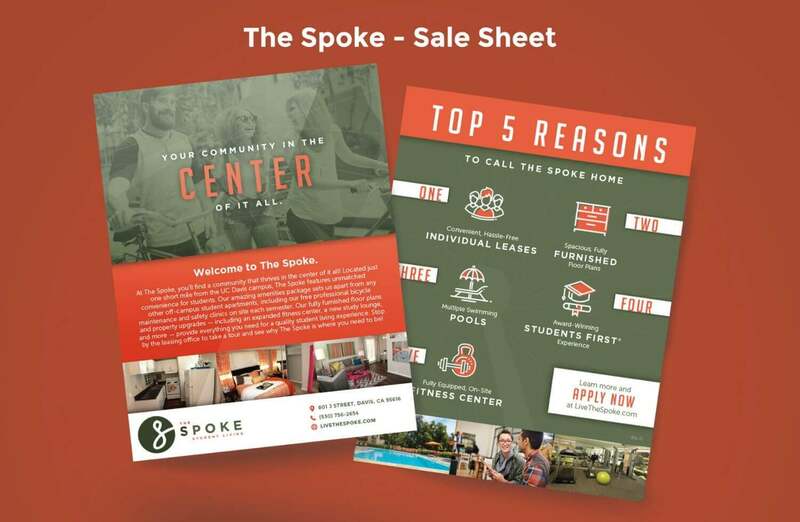 Research revealed the city is largely a cycling community, which was a foundation in rebranding the property to The Spoke (known formerly as Greenleaf College Square). 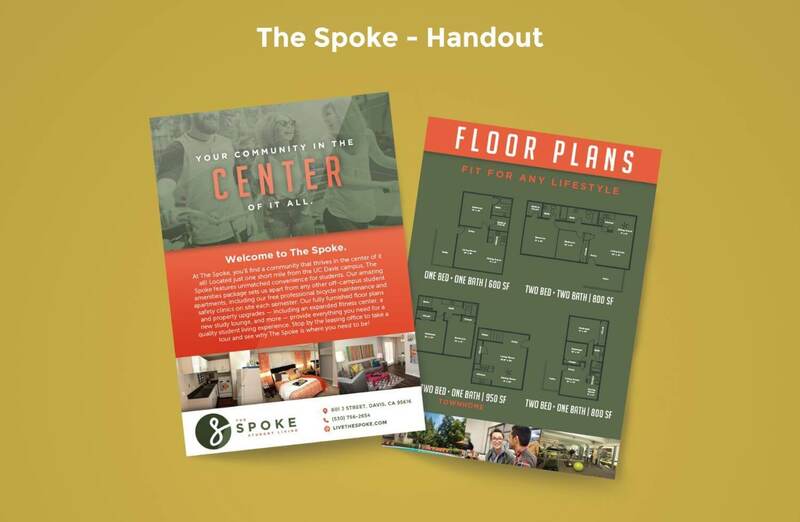 The green-based color palette selected for the student community was adapted from the green buildings on site, along with pops of orange found throughout the property. 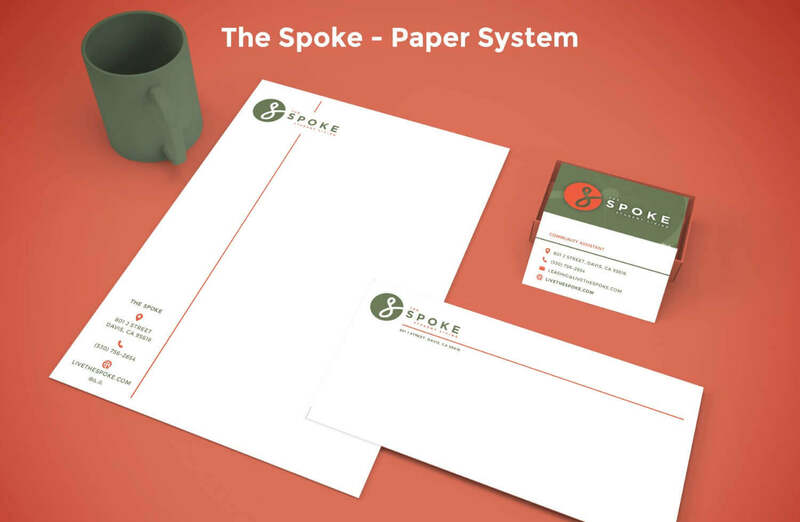 To support the name and a visual representation of the cycling community, a pattern also was incorporated in various sales materials that mimic the spokes of a bicycle. 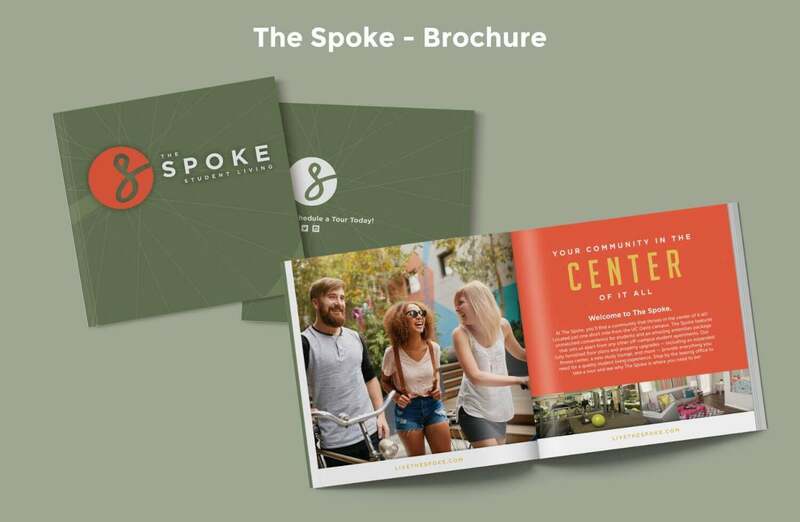 In addition to naming, Catalyst also provided tagline creation, a paper system, a brochure, a sales sheet, a handout, and a custom website.